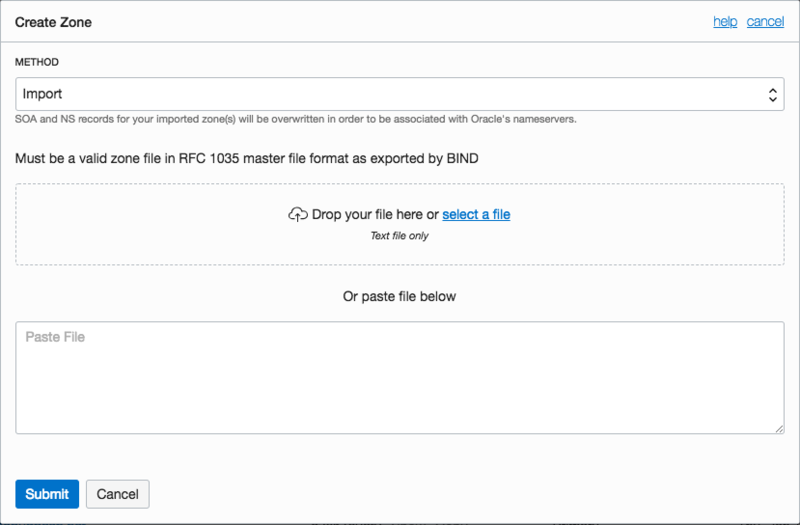 To transition to Oracle Cloud Infrastructure DNS, download your Managed DNS Express zone, upload the zone file to Oracle Cloud Infrastructure DNS. 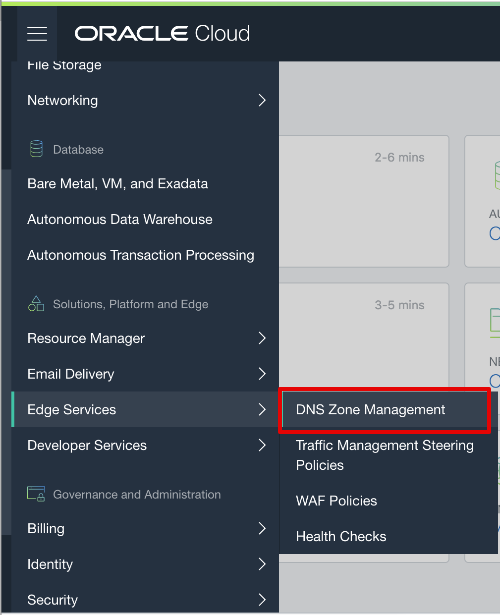 After you create your zone, you will need to delegate it to the Oracle Cloud Infrastructure DNS nameservers. 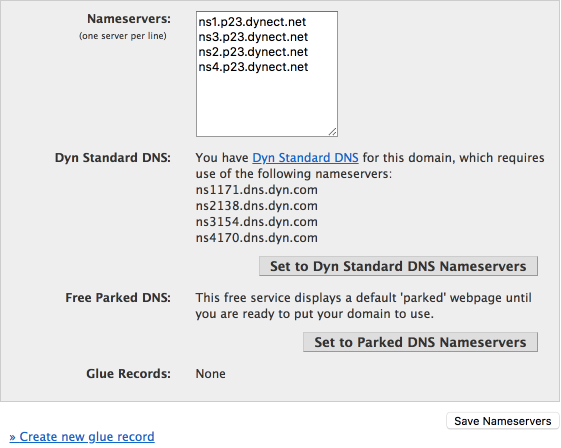 Log into your Managed DNS account using your DynID. Under the Overview or Managed DNS tab, click Manage for the zone you want to download. Select the Zone Reports tab. 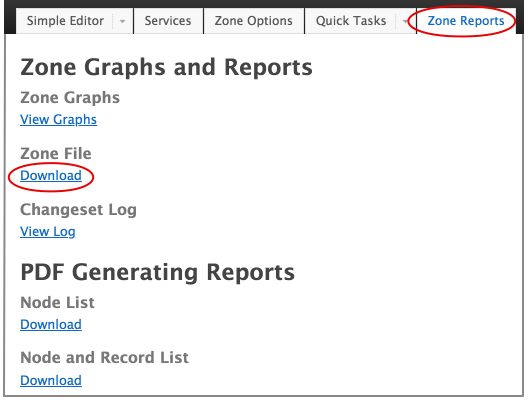 In the Zone Graphs and Reports section, under Zone File click Download. Your zone file will download to a TXT file. Log into the Oracle Cloud Infrastructure Console at https://cloud.oracle.com/en_US/sign-in. Open the navigation menu. Under Solutions, Platform and Edge, go to Edge Services and click DNS Zone Management. In the Create Zone dialog box, choose the Import method. Drag and drop, select, or paste a valid zone file into the Import Zone File window. The zone is imported as a primary zone. The system creates and publishes the zone, complete with the necessary SOA and NS records. Click the Zone Name for the zone you want to delegate. Zone details and a list of records appear. Use the Type sort filter to locate the NS records for your zone. Note the nameservers in the RDATA field within each NS record. You can use the noted nameservers to change your domain’s DNS delegation. Log into your Dyn eCommerce account at account.dyn.com. Under My Services, click My Zones/Domains. Click Domain Registration beside the domain you want to delegate. Click Edit Nameservers and paste your copied Oracle Cloud Infrastructure DNS nameservers into the field. Ensure that each nameserver address is on its own line with no extra spaces or commas between them. If you have purchased Oracle Cloud Infrastructure DNS services but have registered your domain with another registrar, you will need to delegate your domain to the Oracle Cloud Infrastructure DNS nameservers with your registrar. Refer to your registrar’s documentation for instructions. Note: Allow 48 hours for your delegation to propagate before canceling existing services. The Managed DNS Express service can be cancelled by logging into your account at account.dyn.com with your eCommerce username and password. Under My Account, click My Services. Next to Managed DNS Express, click View. Note: Because Managed DNS Express is a service that is billed monthly, it cannot be refunded, per our refund policy.